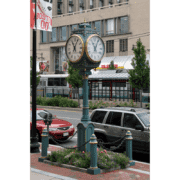 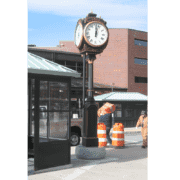 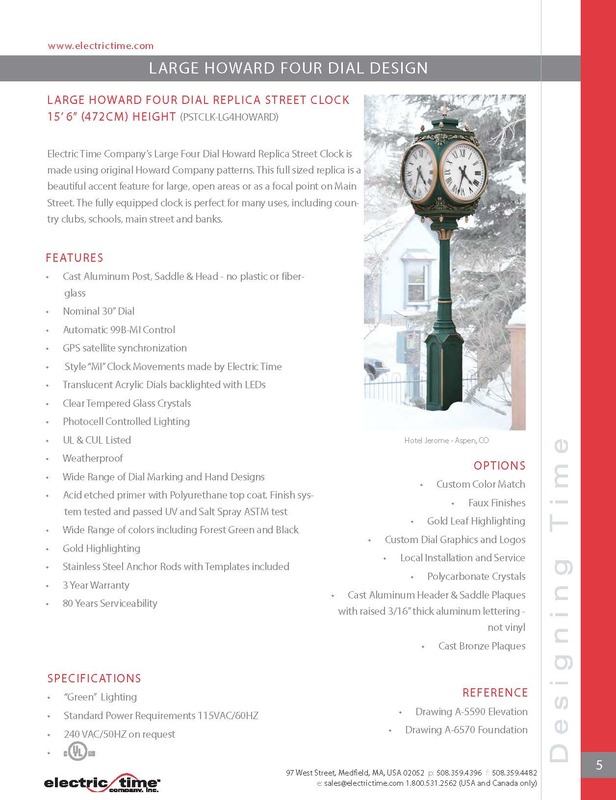 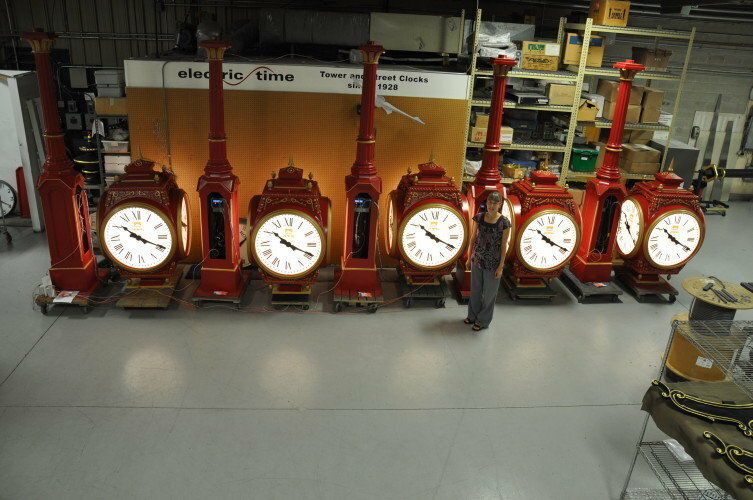 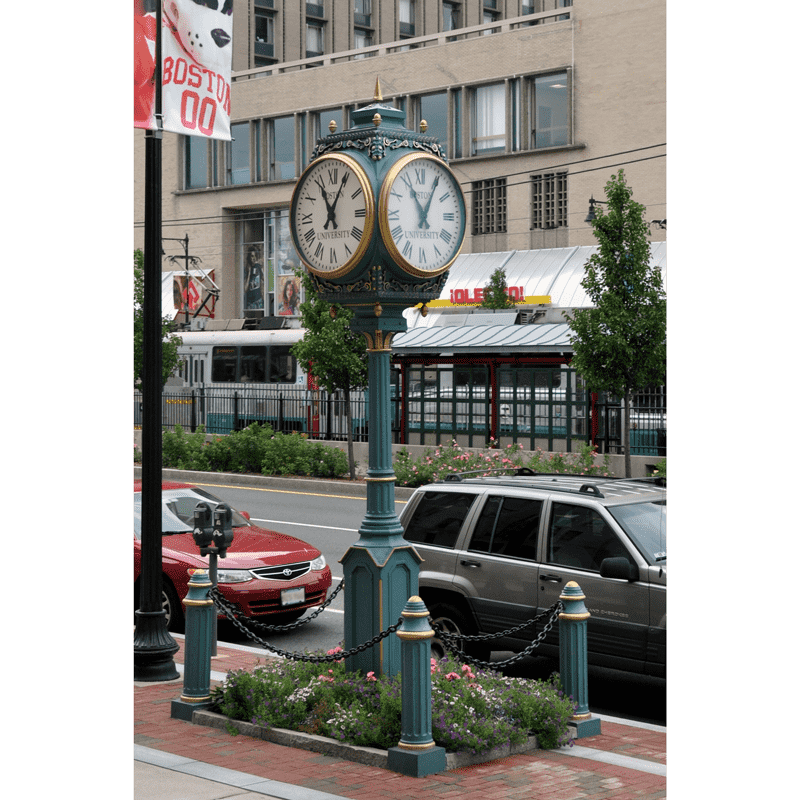 Electric Time Company’s Large Four Dial Howard Replica Street Clock is made using original Howard Company patterns. This full sized replica is a beautiful accent feature for large, open areas or as a focal point on Main Street. 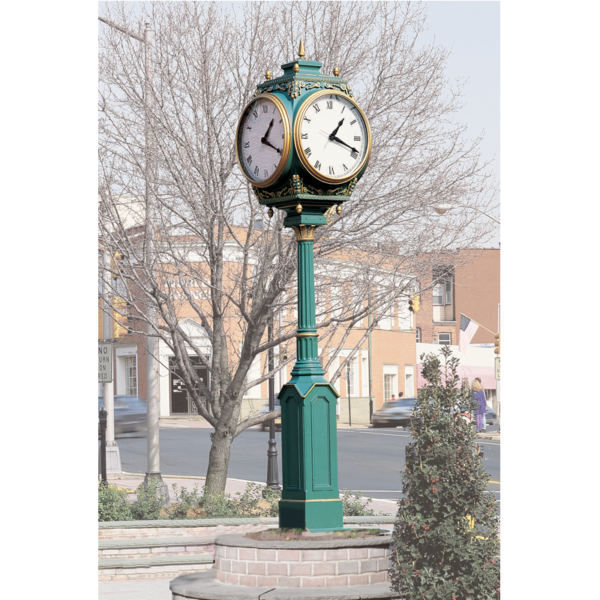 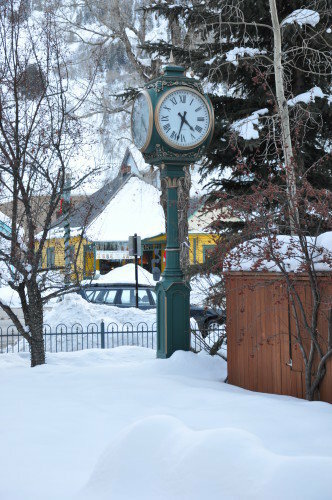 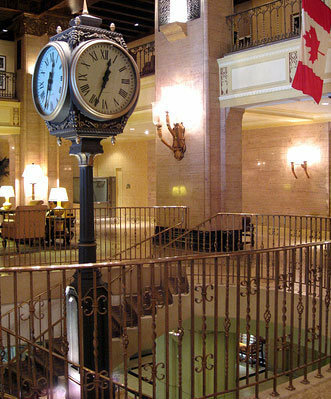 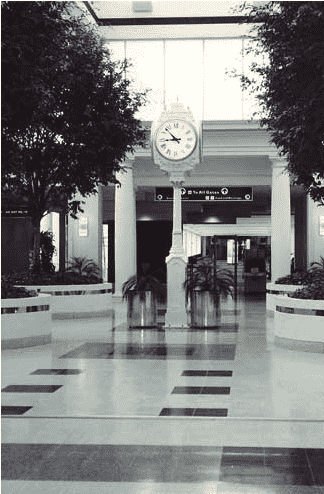 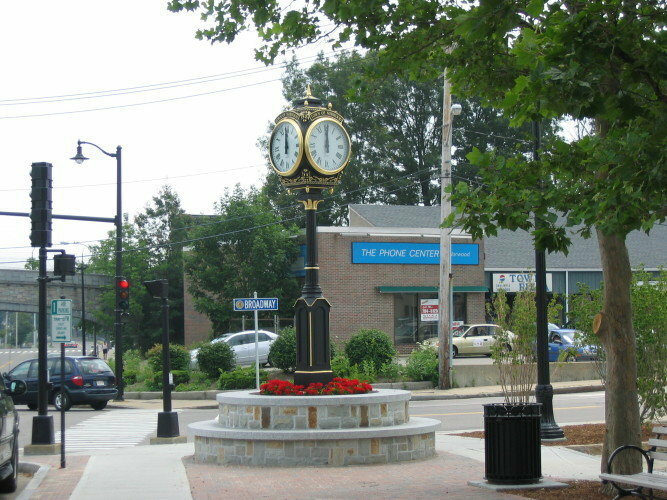 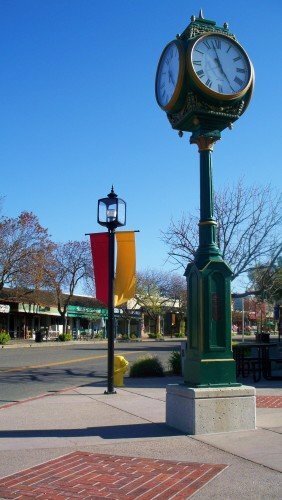 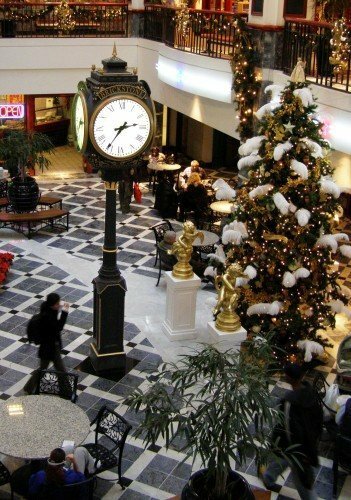 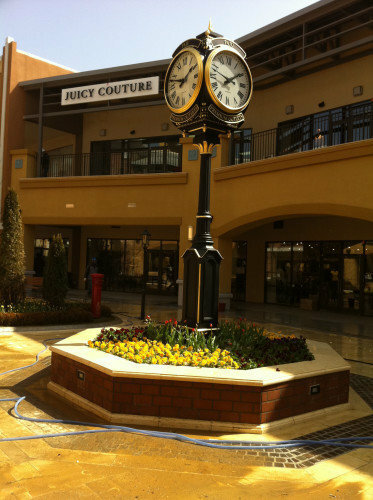 The fully equipped clock is perfect for many uses, including country clubs, schools, main street and banks. 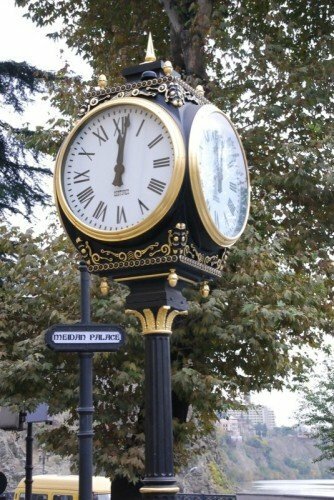 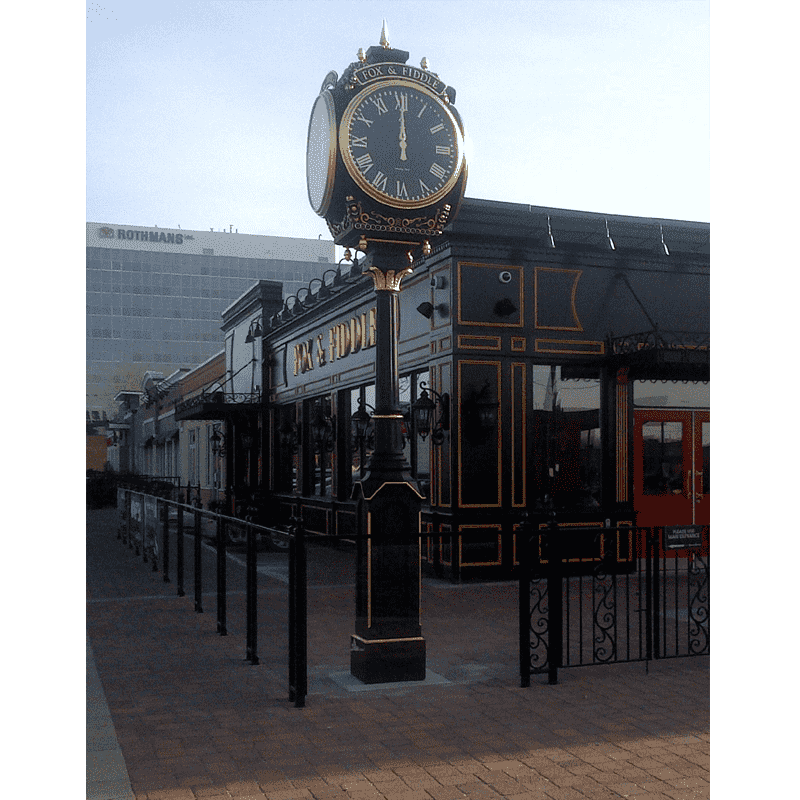 Installation video below of this clock design with a gold leafed finish and cast aluminum header plaques.